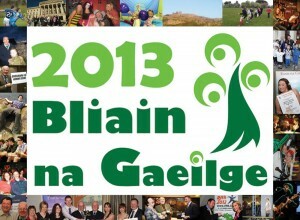 2013 is set to become known as ‘Bliain na Gaeilge’, the year of the Irish language, reports Claire McQuaid. A massive celebration is being organised for next year, which will see local groups from all over Ireland coming together to celebrate 120 years of the revival of the Irish language. More than 50 language and culture organisations from across the country will be taking part in this important language initiative, including the Comhaltas Ceoltóirí Éireann, TG4, and USI, with events taking place nationally and locally around the country. The Department of Arts, Culture and Leisure has also launched an Irish language initiative called Líofa 2015. The aim of the initiative is to encourage 5000 people from all walks of life across the North to sign up and become fluent in the Irish language by 2015. As part of the initiative, Irish language classes will be running throughout 2013 in various locations across the north of Ireland. For more information visit the Department’s website. Bliain na Gaeilge was officially launched earlier this month with the release of 120 balloons in various locations including Dublin, Galway and Mayo. According to CSO figures, 1.77m people in Ireland claim that they are able to speak Irish, while more than 77,000 people speak the language regularly outside school. Photo by Bliain na Gaeilge 2013 on Facebook.